Roughly two months ago South Korea reported several detections of the African Swine Fever Virus among foodstuffs brought back by travelers arriving from China. Important because even dried or cured pork products can contain live ASF virus. 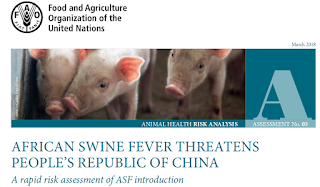 As mentioned in my last blog, the movement of ASF contaminated food, feed, vehicles or animals has been linked to the rapid spread of the virus both in China, and in Eastern Europe. Last August, in African swine fever (ASF) threatens to spread from China to other Asian countries, the FAO described just how easily ASF can cross borders, and even oceans. 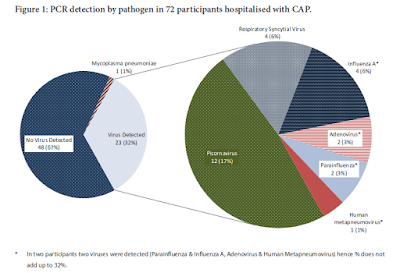 Today Japan's MAFF has an all too familiar sounding report of ASF infected sausages detected at Hokkaido Airport in the luggage of a traveler returning from China (see Japanese PDF [Notification] for re-thoroughness of feeding and health management standards compliance associated with the detection of African swine fever virus gene from the passenger of mobile products (2018 October 22) (PDF: 1,506KB)). Between the PDF formatting and the translation software, most readers will probably do better with the English Language report published by Kyodo news, at the link below. While Japan remains ASF free, it lost its coveted Classical Swine Fever (CSF) free status last month after going 26 years without detecting the virus (see Japan: MAFF Confirms Classical Swine Fever Outbreak). Exactly how CSF arrived to Japan is unknown, but there's a pretty good chance it arrived from China - or some other endemic country - via the (legal or illegal) transport of contaminated products. While we generally think of infected travelers or migratory birds carrying infectious diseases across international borders (see ECDC: RRA On Imported Monkeypox Cases From Nigeria), the legal (and illegal) transport of live animals, food, animal feed, and even the contaminated conveyances themselves can deliver a stunning variety of zoonotic and agricultural diseases around the globe.